The North Face Gotham Jacket II. 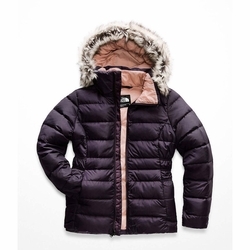 Equipped with two types of warm insulation, this sleek hooded jacket features both 550-fill down and synthetic insulation for dependable warmth in cold conditions. The internal media pocket allows you take your playlist with you.